ECOLOGY IS THE study of the interaction between an organism and its physical environment. Human ecology specifically focuses on humans as a group of organisms and their mutual relationships within the habitat. The term ecology has its origin in two ancient Greek words: oikos (house or habitat) and logia (words or teaching). Thus, the concept of ecology has its origin the Greek oikologia, and could be rendered “teaching about the habitat.” This article explores three dimensions of ecology in order: human ecology, political ecology, and biological ecology. The central theme that unites these three subsets is how humans interact with the Earth. Often, the term human ecology is used interchangeably with cultural ecology. The human geographers find dialectical relationships between people and nature and consider cultures as a meeting ground of the two major elements of ecology: humans and environments. Each culture grows in a specific natural environment along with each human group and its living on the Earth. the human influence on the habitat and making of cultural landscape through culture building. Employing these approaches, human ecology encompasses several branches and concepts, and this article discusses a few of them to facilitate understanding of the dialectical human-environment relationships. Cultural ecology studies the mutual influences between human groups and the environment. Cultural ecology often qualifies culture as an effective mediator or medium for humans to facilitate their adaptation to physical environments. This process is called an adaptive system, and cultural ecologists render this system cultural adaptation. In this venue, cultural ecologists recognize the importance of studying plant and animal adaptations to understand human-environment relationships. Cultures are the basis of successful human adaptation to environment and its change through time. Historically, food, clothing, shelter, and knowledge served to reduce human difficulties to subsist in the midst of powerful nature. These cultural traits are examples of an adaptive strategy, and the strategy includes almost all aspects of our culture that enables us to prosper on the Earth. Although cultures function as a meeting ground between human and environment, we should note that the same or similar physical environment produces no identical cultures. This fact indicates that each group of people employs the unique strategy to survive in its natural setting. The interaction between the unique cultural traits and surrounding environmental conditions always result in a making of individual adaptive processes. Thus, we can observe an omnipresent two-way relationship between human and environment. The approach and themes within cultural ecology often function as the crossroads of cultural and physical geographers, and it is closely identified with four schools of thought: environmental determinism, possibilism, environmental perception, and humans as modifiers of the Earth. All of the four pillars are particularly revealed in the studies in ethnic geography, folk geography, and the examination of ecology in popular cultures is another vital perspective in geography as an academic discipline today. Generally, folk groups are more involved with their physical environments, thus tend to establish an intimate relationship with nature. Therefore, cultural ecology as a geographical discipline maintains a relatively close association with folk geography. Folk adaptive strategies are based on sustainability and are usually the opposite from those of popular culture. Sustainability is judged by how people use natural products and consume energy in a way that does not destroy the environment. Among folk groups in particular, human interaction with habitat is intense as the people gain their livelihood directly through the Earth: farming, mining, extracting other resources, herding, hunting, gathering, and fishing to name but a few. The folk ecology and adaptive strategies are usually inseparable, and this interrelationship is revealed in the making of folk languages. For example, folk languages tend to have the vocabularies based on their historical exploitation of the habitat as well as their religious act to protect themselves from environmental hazards. The folk languages are often employed to tell stories; folktales were passed on in honor of their heroic figures, proverbs were charged with wisdom about the weather and the farming, and their traditional architecture show us how the folk groups successfully balance available resources and climate. How the folk groups subsisted is called the folkways, and these processes historically facilitated successful human adjustment to the physical environment. Folk ecology can be similar to religious ecology by seeking the relationship between religion and nature; religious ecology studies how folk religions help guide people’s local modification of the environment and shape their perception of nature. The dialectical relationship between humans and nature is again witnessed in this context—the habitat influences the formation of religion, and human desire to control the land increases as the religious hierarchy is facilitated in the community. It is obvious that folk cultures maintain close contact with the Earth and are more sensitive about the qualities of habitat than popular cultures; this is because folk survival and prosperity tend to be more at the stake of physical surroundings. However, folk people, too, shape the landscape through their culture building, and it is not necessarily true that folk groups live in perfect harmony with their environment. It is always very difficult to maintain good balance between the two organisms: human and environment. Ethnic ecology studies how certain ethnic groups interact with their habitat through the process of making cultural landscapes. Ethnicity has a close link to cultural ecology as much as folk cultures do, and a strong correlation exists between people and physical environment in ethnic culture regions, in ethnic migration, and in survival of ethnic groups. Ethnic groups are occasionally created in a remote place from their source region. This is often caused by migration and/or relocation diffusion. Since those groups settled in distance, cultural preadaptation must be considered as an ecological element. Preadaptation is a process based on a collection of adaptive traits, such as behaviors, ideas, and practices, possessed by a group prior to migration. This ability gives them the chance to survive in the new environment after migration or relocation diffusion. Preadaptation mostly occurs in groups migrating to an environmentally similar place to their original home, and the adaptive strategy from their source region should work effectively in the new destination. Environmental perception of the new land is another key to understanding ethnic ecology. There is a general tendency for immigrants to unconsciously associate their new home with their abandoned homeland, thus finding the new home more similar to their original home than reality. In other words, they emphasize the similarities and minimize the differences between old and new homes, and this perception often causes some extent of distortion. This perceptional process occasionally caused problems for ethnic farming groups, particularly early Western European immigrants to Americas. Sometimes crops that thrived well in the old homeland were not adaptive to the particular American environmental setting. This collapse in agriculture and farming resulted in economic breakdown, and it is often the case that the ethnic settlement was deserted. This result can be referred as an example of cultural maladaptation. In contrast to folk culture, ecology of popular culture is less evident because its link to the physical environment is weaker than that of folk culture. The major difference lies in its involvement with industrialization and technology. Thus, popular culture is often said to propose a mechanistic view of nature. The advent of modernity demolished direct human confrontation and involvement with many environmental forces, and people in popular cultures can cause ecological disasters as much as becoming their victims. In popular culture, knowledge of the physical environment is mainly gained indirectly through books, mass media, and safe and harmless artificial environment, thus there are little direct involvement with the Earth. This indirect relationship with habitat is likely to distort human environmental perceptions. Furthermore, the existence of popular culture leaves a dominant impact on ecosystems. One model of distinctive interaction between popular culture and ecology is observed in how and where the members of popular culture wish to spend their leisure time. People in popular culture now spend much free time in areas outside the cities, or at least this is what they wish. The last quarter of the 20th century witnessed the rapid growth of the demand for recreation zones, often consisting of artificial wilderness. Such an influx of people in former “wilderness” results in damage to the physical environment, which includes our habitat itself. It is ironic that the population cluster in cities and suburbs causes greater impact on the rest of the world; people who grow up in popular culture tend to carry their cultural values into nature. The boom of recreational tourism is now an international phenomenon, and some countries have made natural areas more accessible to people, which results in harming the habitat. The UNITED STATES is one of the countries that separates national parks from wilderness areas. Yet the human impact on the environment remains a severe problem to this day. In this context, the cultural ecology of the city seeks how we should understand the inseparable relationships between the urban settings and their interplay with the physical environment through human involvement. The theme of cultural ecology helps us to organize information about this city-nature interaction within the framework of human-environment relationship. The theme of human ecology is applicable to the study of population geography as well. In a given ecosystem, a successful adaptive strategy allows a people’s survival and the reproduction of population at the most basic level. However, population is always at the sake of the availability of local resources regardless of adaptive strategy, and climatic factors influence the people’s choice of settlement locations. Another prominent factor that affects population distribution is disease. Some diseases may attack domestic animals and deprive the people of food. Thus, such diseases may affect human population density in a given location. Perception of the physical environment also plays a major role when a group of people chooses where to settle and subsist—people are almost always in search of similar environments to their original home. Various cultural groups often see the same physical environment in different and unique ways, and these individualized responses to a single environment also influence human distribution patterns. Adaptive strategies include how people modify their habitats through the development of their cultures. Particularly, significant alterations of physical environment often occur in densely populated areas. Adaptive strategies are not always sustainable, and at present densities, these population densities are a particular reason why we face a worldwide ecological crisis in terms of supplying food and resources appropriately. Thus, the population explosion and the ecological crisis maintain a two-way relationship. This approach focuses on political phenomena on the Earth that revolves around the interrelationship between humans and the environment. Thus, political activities in a natural habitat bear a prominent focus, and therefore have a strong link with political geography. Political ecology studies how political and cultural processes shape society (human)-nature (environment) relationships. In many cases, people have a strong attachment to their habitat through the building of cultures. Political ecology can be considered as a marriage of geography and anthropology and is characterized as an interdisciplinary approach rather than a unified methodology associated with one specific discipline. Environmental changes affected by political phenomena in indigenous or ethnic societies are typically common subjects in political ecology, but recently, the approach is increasingly applied toward industrialized societies to analyze diversities of human relationship and conceptualization of nature based on geopolitics and several other prominent theories. Although geopolitics is often singularly associated with political geography, the idea of geopolitics is inseparable from the importance of terrain, soils, climate, natural resources, and other elements of the physical environment to our political society. The term geopolitics is often used to describe the influence of habitat on political entities. On the other hand, political authorities have powerful potentials to modify environment through the scheme-organized alteration of the landscape and even in the name of environmental protection. In these ways, political entities influence and are influenced by the physical surroundings, and here again, we come across with a two-way relationship between human and environment. In the past, a country’s survival was enhanced by “folk fortress,” which is a natural stronghold, such as surrounding mountain ranges, deserts, or seas; bordering marshes or dense forests; or outward-facing ESCARPMENTs. The folk fortress was a valuable natural protection of the city and people by shielding an entire country or at least its core area. Without natural defense, for example, Korea, a land bridge leading from CHINA to JAPAN, has repeatedly been threatened by both neighbors. Korea’s history tells us how difficult it is for a country without natural protection to maintain its independence and sovereignty. Distribution of terrain is closely related to the concept of the folk fortress. We agree that an ideal country has mountains and hills around its edges and plains in the interior to provide sufficient fortification and comfortable space for people’s settlement to facilitate defense and to heighten identity of a cohesive country. FRANCE comes very close to the ideal in terms of its physical setting, but very few countries in the world enjoy similar environmental boundaries. Other desirable borders are mountain ridges because they stand out on the landscape and cross thinly populated countrysides. In contrast, not all the topographical features are helpful in making of efficient borders and a cohesive country. Rivers usually do not serve as ideal borders because their nature of changing course and flowing through densely settled valleys, create potential problems for the countries on either bank. An undesirable arrangement of physical features are called environmental barriers and may disrupt a country’s internal unity and isolate one part of a country from another. Environmental barriers grow separatist sentiments easily, such as internal mountain ranges in the case of PERU and SPAIN that provide guerrillas with potential bases. Both Peru and Spain have problems of internal unity, and it can be said that this is partly because of their unfavorable physical settings. In comparison, seacoasts serve as the most efficient borders for making independent countries, as is represented by AUSTRALIA. The Australian seacoasts provide excellent natural boundaries against expansive or acquisitive neighbors. However, we should not forget that there are always exceptions to these generalizations, such as HAWAII, CUBA, and the PHILIPPINES. These interactions between human territoriality and topographical arrangements recur in several theories in political ecology as well as political geography. Increasingly today across the world, the term political ecology has a far more restricted meaning than the scope discussed above. It refers to a form of political activism dealing with the issue of disputes of who controls natural resources and who makes the political decisions that impact the habitat and indigenous population. Power games and the politically charged environmental consequences of the struggle between haves and have-nots become the center of the new political ecology. Many political actions and decisions have a significant impact upon habitat, and warfare is the most devastating of all political phenomena. War destroys resources systematically, and it is unfortunate that warfare has been a favored practice to resolve political conflicts throughout history. From an ecological perspective, environmental catastrophe goes on as a result of modern high-tech warfare, which destroys the delicate balance between human and habitat. Even military exercises and various tests affect habitat severely, as is the case with a drastic oil spill. The first world’s desire to control resources and territories often resulted in destruction of habitats and the displacement of indigenous peoples by the people of political economic power. The lumber industry, commercial fishing, the development of open lands, and other enterprises are often seen as ecologically destructive, although these are not always directly involved with politics. It is time for us to rethink human involvement with habitat from an ecological point of view, and political ecology gives us fundamental insights to deal with this world. The United States is one of the countries that has a Green Party to pursue a political-ecological agenda, and the existence of this political party represents increasing concern of human impact. This approach is based on the idea of ecosystem, which includes all the plants and living creatures in a given area in relation to their physical environment. The term ecosystem is a contraction of the phrase ecological system, which encompasses biological ecology. Biological ecology has a closer affiliation with the domain of PHYSICAL GEOGRAPHY, yet due to the nature of ecology as a mediator of all types of geographers, biological interpretation of the Earth also contributes to the studies of cultural geography. In studying the Earth from biological ecology perspectives, the concept of biota serves as one of the foundations of this approach. The term biota refers to the total group of plant and animal life in a region. Biota is subdivided from flora to fauna. An ecosystem includes biota, that is, all the organisms, in a given area, but it is more than a community of plants and animals. The ecosystem as a concept is based on the holistic interactions among and between organisms. The ecosystem also involves the nonliving portion of the environment, which includes nutrients and energy, such as soil, rocks, water, sunlight, and atmosphere. Thus, an ecosystem is an essential collection of plants and animals along within the surrounding environment and all the interactions among these organisms. The energy flow among the various components of the ecosystem plays a crucial role in biological ecology, as it is responsible for determining how a biological community is built. Another fundamental concept of biological ecology is called a BIOME. A biome provides us with the most appropriate scale for understanding world distribution patterns of species and identifies recognizable assemblage of plants and animals through interaction with its environment. A biome is usually classified on the basis of its dominant vegetation along with the bulk of the biomass, which is the total weight of all organisms in the biome, as well as the most obvious and conspicuous visible component of the landscape, such as tropical RAINFOREST, DESERT, and TUNDRA. The survival of plants and animals depends on an intimate and sometimes precarious set of relationships with other elements of the environment. Throughout environmental relationships, there are two major factors at work: intraspecific competition, which happens among members of the same species, and interspecific competition, which exists among members of different species. Both plants and animals compete with one another in search of light, water, nutrients, and favorable habitat in a dynamic environment. There are recognizable and predictable patterns of biotic distributions based on environmental relationships. Various climatic factors play a dominant role as the most prominent environmental constraints on biological ecology at almost any scale. The four major components of CLIMATE are light, moisture, temperature, and wind. 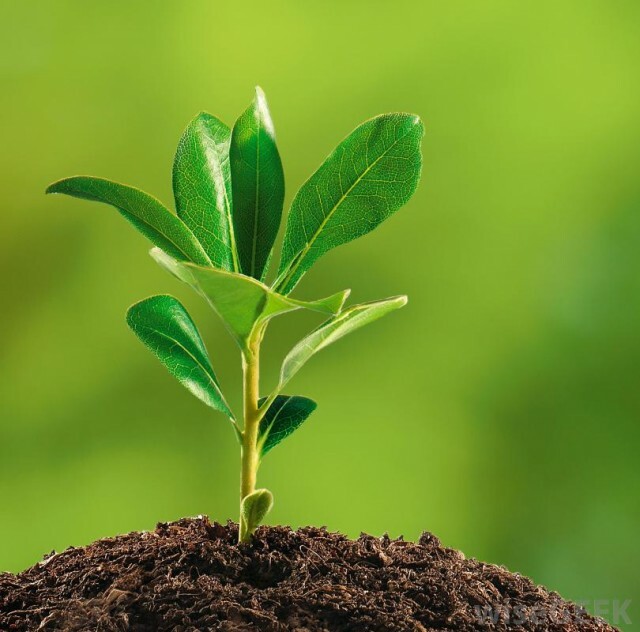 Light and photosynthesis are responsible for activating plants to produce stored chemical energy, and light also has a significant influence on determining the shapes and sizes of plants. Moisture is the second climatic factor to characterize biological ecology. The broad distribution patterns of the biota are mostly determined by the level of moisture. The process of biotic evolution has been characterized by the adaptation of plants and animals to scarcity, abundance, or excess in moisture availability. In biological ecology, moisture is often synonymous with water. Although the availability of water is largely determined by these atmospheric conditions, it is not always dependent on climate alone, as the relationship with precipitation evaporation should also be observed. Air and soil temperature are also important to biotic distribution patterns. Moderate temperatures attract more species of both plants and animals that cannot survive in cold regions. Wind assists in creating ecosystems by influencing biotic distributions with its physical strength of causing biota frying and sometimes even violently uprooting trees. On the positive side, wind sometimes aids the dispersal of biota by carrying pollen, seeds, lightweight organisms, and flying creatures to contribute to biological diversity in an area. Characteristics of soil that vary from one region to another and its relationship with local organisms are known as edaphic factors. Edaphic factors bring major influence to biotic distributions. These factors have a direct and immediate impact on flora, but the impact is usually indirect on fauna thanks to most animals’ mobility. As long as we live on the Earth, soil is a major component of the habitat of any vegetation, and its characteristics significantly determine rooting capabilities and nutrient supply through soil texture and structure, human existence, chemical composition, and relative abundance of soil organisms. In global biological ecology, general topographic characteristics are the most important factors affecting distribution of flora and fauna, including human settlements. For example, the existing species of plants and animals in a desert region is very different from that in a woodland region. In a more localized context, the factors of steep slope and deep drainage are generally significant, as well as the orientation of sunlight, and other topographical characteristics of the soil on the slope influence the assemblage of plant and animal that survive in the area of consideration. The distribution of plants and animals are mostly determined by environmental factors slowly and gradually through time. However, occasionally, some catastrophic events become the determinant factor of biota. These abrupt elements include floods, earthquakes, volcanic eruptions, landslides, insect infestations, and droughts. Among these elements, causing complete or partial devastation of the flora and the killing or driving away of all or most of the fauna, wildfire is one of the most devastating environmental catastrophes. These results are likely to be temporary; vegetation sprouts and animals return in the long run as the biota recovers from damage. However, at the least, the composition of the biota is changed in the short run, and if the fires occur with frequency, they may destroy the mutual relationship between preexisting biota and biome completely, and thus the ecological change may be inevitable. On a brighter side, wildfire can be helpful to the seeding or sprouting of certain plants and the maintenance of certain plant interactions. In some cases, natural fires are evaluated to sustain grasslands by preventing the encroachment of the tree seedlings. Moreover, there are a variety of plant species that need the heat of a fire to make their seedpods to open and spread their seeds. All phenomena and biota on the Earth are intricately interwoven, and ecology with many facets is a way for us to observe the Earth system as a whole.